Small ship cruise expert AdventureSmith Explorations (http://www.adventuresmithexplorations.com/) has just revealed its list of new trip offerings for next year. These small ship cruises include regions recently opened for cruising, along with new routes and the introduction of state-of-the-art, newly built vessels. “Where there’s curiosity and desire to experience some place new and where we’re seeing our established destinations explored in a new way are two of the major themes in our 2016 new trip line-up,” said Todd Smith, AdventureSmith Explorations’ founder and director. 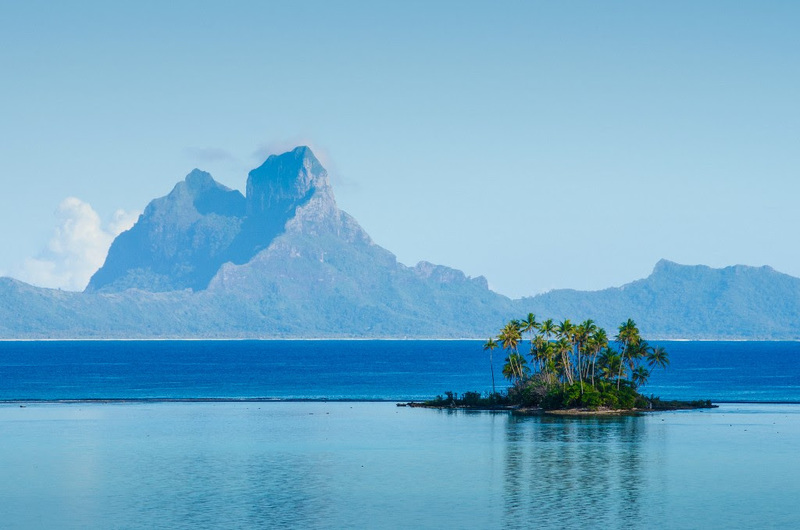 The 24-guest Island Passage sails May through October in Tahiti before returning to New Zealand for the austral summer. The new cruise, Tahitian Affair, sails over eight days round-trip from Bora Bora, also visiting the islands of Tahaá, Raiatea and Huahine. This is an active cruise with kayaking, fishing, swimming, snorkeling and stand-up paddleboarding spliced in with visits to a vanilla plantation, local markets and the Maeva Marae archaeological site. Time will also be spent listening to a local choir and learning how to crack coconuts. 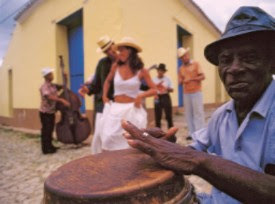 The US embargo against Cuba, in place since 1960, once prevented ordinary Americans from traveling to Cuba, but now with a special visa under the provision of a “people-to-people exchange”, US citizens can visit on properly licensed tours. The new Cuba People to People Cruise aboard the 49-guest Panorama sail cruiser focuses on bringing travelers into contact with Cuban people, culture and their communities. Departures start in late December and run through April 2016 for the cruise’s inaugural season. Panorama and Panorama II, with their white sails and masts, provide a romantic yet modern home base. According to AdventureSmith, the Amazon River and its tributaries represent a hot destination with travelers right now, with high- and low-water seasons providing a varied travel experience year-round. One new itinerary and vessel recently introduced is the newly built 44-guest Amazon Discovery, an all-suite riverboat that sails round-trip from Iquitos and includes a visit to a private reserve on Monkey Island, home to seven different species. 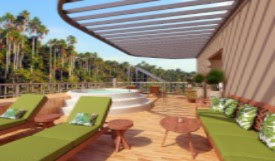 The Amazon Discovery Cruise offers seven-day departures year-round, with the inaugural voyage sailing in December 2015. The Dalmatian Coast Cruise utilizes, among other sister ships, a 2015-built vessel, the 38-guestInfinity, on explorations of the Adriatic Sea coastline between Split and Dubrovnik over eight days. These port towns are featured in the popular Game of Thrones HBO series. 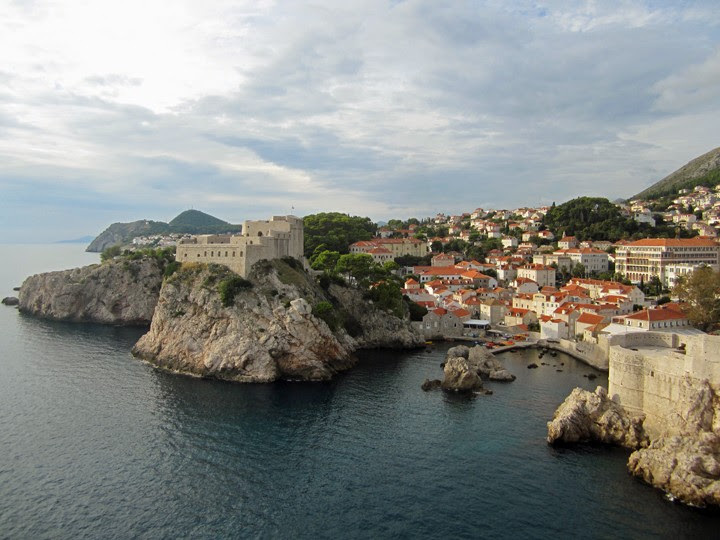 The show’s fictional city of King’s Landing is filmed in Dubrovnik, with Split also appearing in scenes. Sailings start at $1,425 per person and start in May 2016. Voted by Lonely Planet as its fifth top region to travel to in 2016, New Zealand’s Waiheke Island is making many travelers’ lists for 2016. The Bay of Islands Explorer cruise aboard the 24-guest Island Passage visits this 36-square-mile island just north of Auckland before sailing farther north to the Bay of Islands region. Highlights of the eight-day itinerary include wine tasting on Waiheke, dolphin watching, dining on the region’s famed green-lipped mussels, a scenic helicopter ride in the Bay of Islands and visiting the wild and enchanting Great Barrier Island, home to the beautiful Fitzroy Harbour. 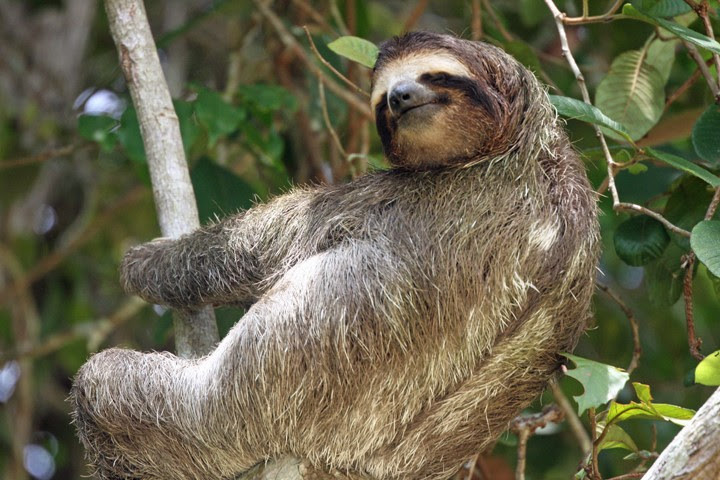 A new ship and itinerary to Costa Rica, Uncharted Isthmus: Sloths, Monkeys & Mangroves aboard the 64-guest Safari Voyager, is an eight-day cruise offering guests twice-daily options by skiff, hike, stand-up paddleboard, snorkel and kayak. Itinerary highlights include transiting the 48-mile-long Panama Canal connecting the Caribbean Sea to the Pacific Ocean, visiting Costa Rica's largest park, Corcovado National Park, and snorkeling the crystalline waters at Panama's Granito de Oro. 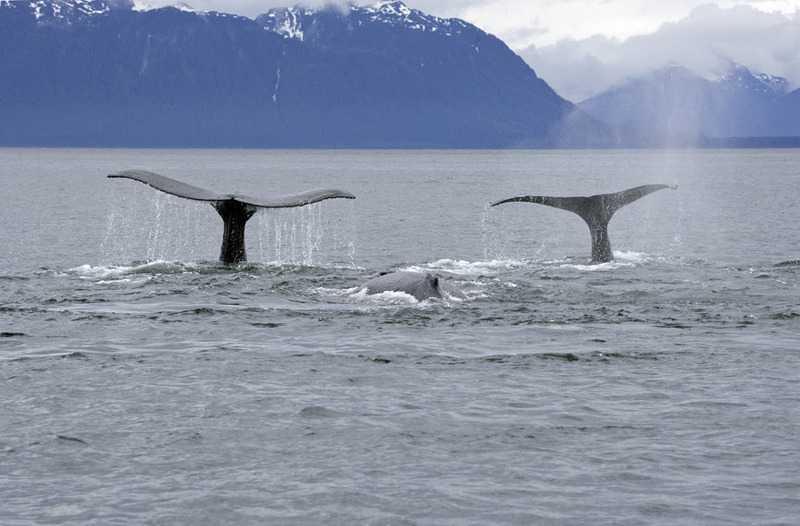 New to the company’s wilderness cruise program is the Alaska’s Islands, Whales & Glaciers itinerary, featuring eight days between Sitka and Juneau aboard the intimate 10-guest yacht Misty Fjord. Native culture and off-the-beaten path explorations along with sea kayaking, hiking and zodiacadventures engage guests in the pleasures of exploring Southeast Alaska. A hover flight at Taku Glacier offers a ride on an amphibious vehicle designed to travel over ice, water, sandbars and grasslands. For a recent blog post about the new season please go to: http://www.adventuresmithexplorations.com/small-ship-cruises-new-2016-tahiti-cuba-new-zealand-costa-rica-amazon-croatia. For information on all of AdventureSmith’s small ship cruises, itineraries, availability and 2016 reservations, Phone: 800-728-2875 toll-free or visit www.adventuresmithexplorations.com. Pandaw has announced that it has acquired the MY Andaman Explorer, which the line will deploy on the coasts of Southeast Asia. 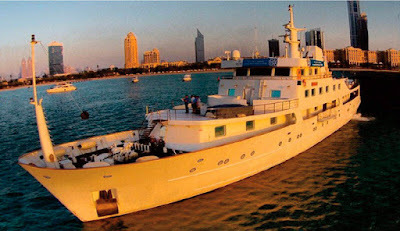 The Andaman Explorer has a hull built to "ice class" with extra thick plates. The ship is on its way to Rangoon, where it will be redecorated and refurnished in Pandaw's style. A fuller refit will follow in 2017. Each of the ship's suites consists of a sitting room, bedroom and marble bathroom. There is a saloon, indoor dining room and two teak decks aft, the lower for outdoor dining and the upper with a Jacuzzi for lounging. There is also a forward observation deck below the bridge. The ship comes with two RIB tenders for excursions to islands and beaches. Pandaw plans an informal recce cruise between Rangoon and Ranong in Thailand in February. Interested agents should get in contact with Pandaw about the recce cruise by emailing angela@pandaw.com. From June to September 2016 Pandaw will start its first official voyages out of Bali exploring Indonesian coastal waters: Lombok, Sumbawa, Komodo Islands and Flores. From October 2016 to April 2017 the yacht will offer cruises on the Burma coast between Ranong and Rangoon, an area that includes the Mergui Archipelago and old colonial seaports like Moulmein. Crystal Cruises, the world's most awarded luxury cruise line, has officially welcomed Crystal Esprit to its fleet of ultra-luxury vessels, as the sleek yacht was christened in an elegant ceremony held at Eden Island Marina in Mahé, Victoria, Seychelles. Crystal's president and CEO, Edie Rodriguez, welcomed a distinguished audience of local dignitaries, yacht guests, travel partners and professionals and executives from the line's new parent company, Genting Hong Kong (GHK), for a day of celebration, as Crystal Esprit marks the beginning of one of the most significant brand expansions in luxury travel and hospitality history. On hand to christen Crystal Esprit was the yacht's godmother, Lady Gaenor Anne Meakes, fiancée of Mark Richards, one of the world's most awarded and recognised yachtsmen. Richards serves as chief executive of Grand Banks yachts, based in Australia, and is an eight-time champion skipper of the 628-mile Sydney-to-Hobart yacht race. Lady Meakes christened the yacht with the traditional breaking of Champagne against the hull – specifically a bottle of Louis Roederer, Cristal Brut, 2004. The evening culminated with an elaborate fireworks display at sea. "To say today is a special day is an understatement," said Rodriguez. "Since joining Crystal just over two years ago, a personal goal of mine has been to see Crystal realize the next step in continuing to pioneer luxury travel and hospitality; and today I am seeing that dream fulfilled." She went on to personally thank GHK Chairman and CEO, Tan Sri Lim Kok Thay, for his and his company's support of her vision for Crystal's future. Crystal will, indeed, pioneer the luxury travel and hospitality industry far beyond the reaches of ocean cruising, as the line is poised to launch Crystal River Cruises in 2016 and 2017, with five luxury river yachts – more than double the originally planned number – gracing the waterways of Europe include the Rhine, Seine, Danube, Main, Garonne, and Dordogne Rivers. Crystal Luxury Air will take off with all-first-class outfitted Boeing 777-200LR and Boeing 787 Dreamliner taking guests on multi-week journeys to far-off destinations not typically served non-stop by major airlines. Crystal Cruises is the world's most awarded leading luxury cruise provider, having earned more "World's Best" awards than any other cruise line, hotel, or resort in history. 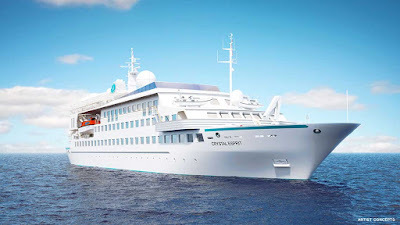 In July 2015, Crystal embarked on the most significant brand expansion in the history of luxury travel and hospitality, which will introduce three new classes of cruising – Crystal Yacht Cruises (December 2015), Crystal River Cruises (July 2016), Crystal Exclusive Class Ocean Cruises (late 2018) – and Crystal Luxury Air (late 2017). 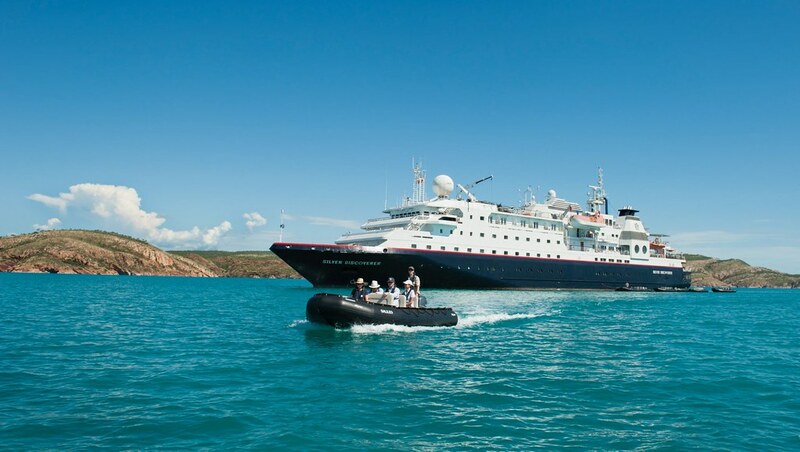 For guests on Hapag-Lloyd Cruises' expedition ships HANSEATIC and BREMEN, the unforgettable experience of taking the Zodiacs into pristine, remote regions will now be even more exhilarating, as well as environmentally-friendly. Gradually, parts of the expedition- suitable Zodiac fleet on board both expedition ships have been equipped with eco-friendly "Deep Blue" electric motors, produced by the German manufacturer Torqeedo. This will make Hapag-Lloyd Cruises the first cruise operator to use this "green" technology on expedition cruises. The Zodiacs (motor-driven rigid inflatable boats RIBs) are the "secret weapons" of expedition ships HANSEATIC and BREMEN: in the most exotic and remote regions on the planet, such as the Amazon, or Antarctic, they make it possible for guests to land in otherwise inaccessible areas. After a one-year pilot phase in which the electric motors were tested on Zodiacs on board the HANSEATIC and BREMEN, parts of the RIBs of both ships were equipped, bit by bit, with these new and 80 HP "Deep Blue" electric motors from Torqeedo in Starnberg/Germany. "For years the ships of Hapag-Lloyd Cruises have used low-emissions marine diesel in fragile cruising areas such as the Arctic and Antarctic. Equipping our expedition Zodiacs with electric motors represents another investment in the future of our environment. With their flora and fauna, our cruise destinations are key to the appeal of our itineraries and we want to protect what fascinates us," explains Karl J. Pojer, CEO of Hapag-Lloyd Cruises. 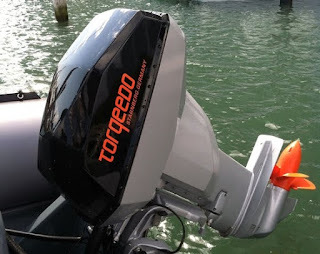 "Torqeedo's "Deep Blue" is an electric propulsion system with a previously unseen level of output. In Hapag-Lloyd Cruises, we are very happy to have found a highly-respected partner that will take on a pioneering role and implement our technology on the rubber boats it uses for expeditions," says Dr Christoph Ballin, CEO of Torqeedo. As a full propulsion system, "Deep Blue" features an electric motor and all other components required to propel the boat – from the lithium battery to the onboard computer. Unlike outboards with combustion motors, electric propulsion systems do not release any emissions, or harmful substances into the water. This will help to protect the vulnerable waters in which excursions take place. Therefore, guests can enjoy more thrilling landings as the new motors cause no smells and are considerably quieter than the Zodiacs' previous 36 horse-powered motors. Additionally, the principle of slow steaming is applied as part of vessel management. This means that itineraries are calculated using an environmentally-sound average speed, which can cut fuel consumption by around one third. This is currently one of the most effective and best ways to reduce consumption and hence emissions. Victoria Cruises has announced its 2016 schedule which includes the popular Three Gorges Highlight and Grand Yangtze Discovery programs. The only American-managed cruise line on China’s Yangtze River enters the new season having upgraded and transformed its entire luxury fleet since the launch of the Victoria Jenna in 2009. Now returning its attention to the Victoria Jenna, a new series of major upgrades will be implemented to ensure the six-year-old ship remains the flagship at the forefront of the Yangtze service leader’s five-star fleet. The redesigned Victoria Jenna will be rejoining the fleet in early April 2016, sailing the Three Gorges Highlights itinerary. The program operates daily in 2016 with four-night upstream voyages departing Yichang six days per week excluding Tuesdays, and three-night downstream cruises departing Chongqing every day except Saturdays. Increased departures will run throughout the summer. While onboard, guests will enjoy informative lectures, nightly entertainment and a world-class dining program designed by Emmy© Award-winning celebrity chef Walter Staib (pictured right filming from the top deck of the Victoria Anna, which was redesigned in 2013). Passengers will observe stunning views of the Qutang, Wu and Xiling Gorges as well as centuries-old temples and pagodas – all from the vantage point of their own private balcony (featured in all staterooms on all Victoria Cruises vessels). Prices for 2016 start at $880 per person, based on double occupancy, while some sailings such as the Victoria Jenna begin at $980 per person, double occupancy. For an additional $200 per person, passengers can enhance their experience with Victoria Cruises’ Luxury Amenities upgrade, which provides access to exclusive ship areas and other VIP perks such as “white glove” service, happy hour, complimentary Wi-Fi internet access and enhanced dining privileges. Comprehensive shore excursion packages cost an additional $90 per person featuring three standard excursions including a guided tour of the Three Gorges Dam, a visit to Shibaozhai and a scenic voyage along one of the Yangtze’s tranquil tributaries via traditional Chinese sampan (excursions may be substituted based on river conditions and scheduling factors). Travelers can also choose to participate in Victoria Cruises’ Grand Yangtze Discovery program which sails the full navigable length of the river aboard the five-star Victoria Sophia. The expanded six- and eight-night voyages encompass all the highlights of the three- and four-night cruises with additional sightseeing east of Yichang, including Wuhan, Jiuhuashan and Nanjing (the city of Yangzhou may serve as a temporary substitution for Nanjing at beginning of the season while the dock at Nanjing is being upgraded). Departures are available twice a month during the months of April, May, September and October in each direction, on Fridays (for upstream sailings) and Saturdays (for downstream cruises). Rates for Grand Yangtze Discovery departures start at $1,610 per person, based on double occupancy, in a private balcony Superior Stateroom. The excursion package costs $240 per person featuring many of the excursions featured in the shorter cruise with additional experiences including the memorial of the Chinese revolutionary Sun Yat-sen in Nanjing as well as Mountain of the Nine Lotuses, one of the four sacred mountains in Chinese Buddhism. The Luxury Amenities upgrade is available for passengers sailing the Grand Yangtze Discovery from an additional $300 per person. For more information, call 800-348-8084 or visit http://www.victoriacruises.com/. Revellers with a sense of adventure can ring the change of the New Year by dispensing with their ‘penguin suits’ and meeting the real thing instead on the new Ultimate Antarctica Amongst Emperors & Kings itinerary, from leading polar cruise specialist, One Ocean Expeditions (OOE). In fact, it’s possible to get up close to eight different species of penguin on this 11-night voyage, which takes in the South Shetland Islands, the spectacular Antarctic Peninsula, the vast, ice-choked waters of the Weddell Sea and the beautiful Falkland Islands. What’s more, the inaugural voyage of OOE’s new programme on board the Akademik Sergey Vavilov is one of several which now incorporate return charter flights from Punta Arenas in Chile. The inclusion of the two-hour flight eliminates the crossing of the infamous Drake Passage, saving up to two days at sea and allowing guests to maximise their time exploring the region. The first of these charter flights departs Punta Arenas on 29 December, heading for King George Island, where the Vavilov awaits; ready to chart a course along the chain of South Shetland Islands before crossing the Gerlache Strait and navigating the icy waters of the Antarctic Peninsula. There is a huge diversity of wildlife to be seen on this voyage. Highlights for passengers include visiting well-established Adelie, chinstrap and gentoo penguin rookeries and southern elephant seal haul outs, viewing and photographing the gigantic and elegant king penguins, which range from 18 to 37 inches in height, trying to spot the elusive emperor penguin and watching playful humpback whales enjoying the polar waters. The landscape is equally impressive, with heavily glaciated mountains permanently covered in ice and snow, rocky outcrops that are home to staggering numbers of penguins, miles of tabular icebergs that offer spectacular photographic opportunities and a vast expanse of steely waters rich in marine life. The cruise will also appeal to guests interested in the history of exploration in the region. Stops are scheduled at Nordenskjold’s winter hut on Snow Hill Island, built during the 1901-04 Swedish expedition and still standing today, as well as Elephant Island where Sir Ernest Shackleton and his men camped under their upturned lifeboats on the famous HMS Endurance expedition 100 years ago. As the Vavilov sails across to the Falkland Islands, accompanied by hundreds of magnificent pelagic seabirds, including albatross, petrels, gulls and terns, on-board polar experts are on hand to answer questions about all aspects of the voyage and conduct interesting and informative presentations about the region, its history and wildlife. 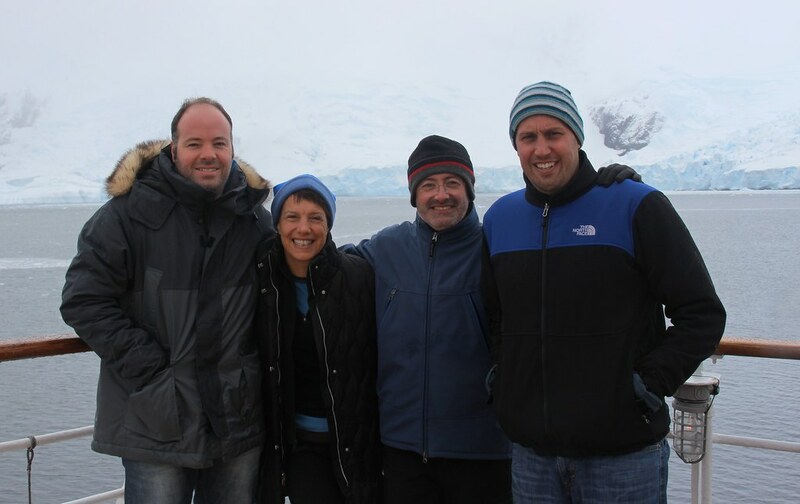 The cruise ends in Port Stanley where guests are transferred to the airport for the return flight to Punta Arenas. Guests may choose to extend their trip by taking a connecting flight through to Santiago or one of the other destinations in Chile before returning home to the UK. Prices for the 11-night Ultimate Antarctica Amongst Emperors and Kings trip start from US$10,595 per person including flights from Punta Arenas to King George Island and from Stanley to Punta Arenas, all food and accommodation on-board, a New Year’s Eve banquet, plus zodiac excursions and landings, ship transfers and foul weather gear. Australians are queuing up to cruise the world's southernmost continent with demand for bookings stronger than ever. Passenger numbers for Chimu Adventures to the Antarctic Peninsula have more than doubled since 2008, says Chimu boss Greg Carter, with the upward trend climbing sharply over the past 18 months. "This is a destination like nowhere else on the planet," he said. "Untouched by humans, there is no development, the landscapes are ethereal, the wildlife abundant. "This is one of the most wildly beautiful places to travel in the world and it is back on the bucket list for Australian travellers." With limited cabins left for the 2015-16 Antarctica cruise season between now and March, Carter says bookings need to be made soon. Expedition cruise specialists Aurora Expeditions have launched a brand new 24-day 'Arctic Complete' expedition as part of their 2017 European Arctic program. Offering passengers an in-depth exploration of Spitsbergen, Greenland and Iceland's most remote coastlines, the new itinerary is set to provide the ultimate Arctic adventure. Starting in Spitsbergen – the largest island of the Norwegian archipelago, Svalbard – high above the Arctic Circle, passengers aboard the new 'Arctic Complete'expedition will enjoy the island's glaciers and abandoned settlements before heading north into the pack ice in search for polar bears. The new expedition will attempt to circumnavigate the remote island before crossing the Greenland Sea to discover the world's largest National Park as well as the world's largest fjord system in Scoresby Sund. In Iceland, passengers will explore a remote settlement before ending the expedition in Reykjavik, where they will have the option to extend their adventure. With nearly 24-hours of endless daylight, passengers can expect to enjoy daily shore landings with opportunities to walk across spongy permafrost among summer flowers and to visit a remote Inuit community. Mazes of giant grounded icebergs, a dog sledding trip across Spitsbergen's interior and up-close encounters with the Arctic's myriad of wildlife, including walrus, seals, Arctic fox, and musk ox, all await on this exciting new adventure. Three other exciting itineraries are also on offer in 2017, including the 14-dayAcross the Arctic Circle, which cruises from Scotland's northern isles before discovering the Norwegian coastline's dramatic fjords and Spitsbergen's polar desert. Three 11-day Spitsbergen Odyssey voyages will venture deep into the domain of the polar bear, and two 14-day Jewels of the Arctic voyages will explore the icy landscapes of Spitsbergen, East Greenland and Iceland. 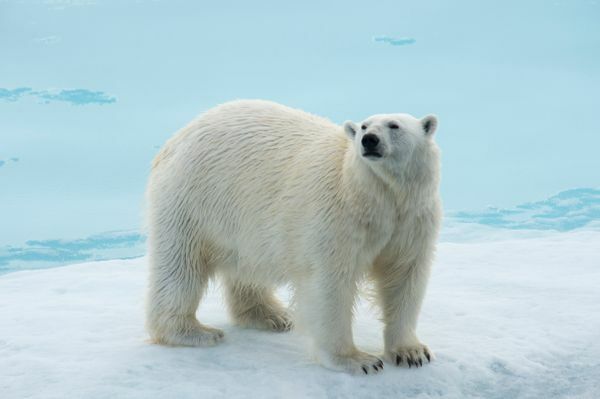 Travelling aboard the 54-passenger, ice-strengthened expedition ship, Polar Pioneer, each voyage is led by a team of experienced polar specialists, naturalists and historians that will guide passengers through the dramatic landscapes, unique cultures and abundant wildlife that capture the spirit of the European Arctic. EARLYBIRD OFFER* For a limited time only, all 2017 bookings made on selected Arctic expeditions before 31 January 2016 will pay 2016 prices – giving you the opportunity to save up to $2,000 per person! Earlybird prices start from $6,380 per person for an 11-day voyage. For more information contact Aurora Expeditions on 1300 061 490 or visitwww.auroraexpeditions.com.au. *Conditions apply. Not valid on new 'Arctic Complete expedition'. Contact Aurora Expeditions for full details. From 2017, Hurtigruten's expedition ships will sail to Viking settlements and the national parks of Newfoundland, explore the World's largest fjord complex in Greenland, undertake Hurtigruten's first ever inland voyage along the Amazon and travel along the Panama canal. Four new voyages will incorporate Newfoundland & Labrador with highlights including the provincial capital of St John's, Baffin Bay & Torngat Mountains National Park (pic above), Saint-Pierre and Miquelon, Red Bay and Battle Harbour. Among the many exceptional landings, passengers will visit L'Anse aux Meadows. The small fishing village on the UNESCO World Heritage List is the place where Norwegians Anne Stine and Helge Ingstad and their daughter Benedicte discovered a Viking settlement in 1960. Today, Benedicte (72) is a researcher and professor of medical anthropology and will join selected Hurtigruten voyages to give lectures about her family's discoveries. Hurtigruten's first ever inland sailing will travel along the Amazon during a 16 night 'Expedition to the Amazon Rainforest'. The Amazon voyage starts in Manaus deep inside the Brazilian rainforest. Sailing down the immense river, guests can experience and learn more about the unique nature and wildlife from the expedition vessel itself and canoes and by hikes onshore. Other highlights of Hurtigruten's new voyages include a journey along the Panama Canal and the chance to explore Kangertittivaq in Greenland (also known as Scoresby Sund), the longest fjord in the world, extending 350 kilometers into the vast island. Hurtigruten's explorer cruises combine active adventures with learning. On board and ashore, popular science lectures will be given from experts in history, zoology, botany and environmental science. The Norwegian company has added a total of 23 new expedition voyages to its programme for 2017/18 and now offers more than 200 ports of call in 18 countries worldwide. "We want to offer our guests unique and meaningful experiences regardless of the water temperature. Hurtigruten let people follow the tracks of the Vikings, Amundsen and Nansen, and Thor Heyerdahl" says Hurtigruten CEO Daniel Skjeldam. "People no longer want to spend their vacations being passive spectators. 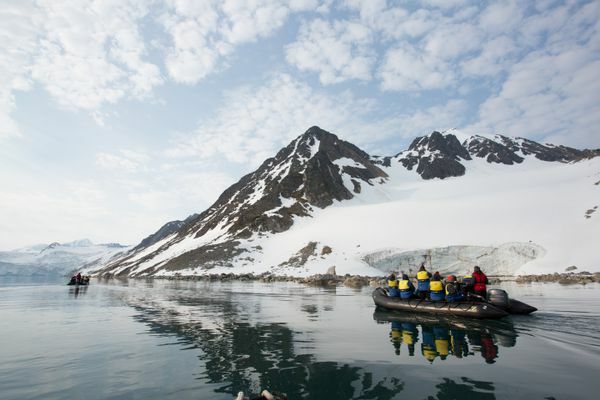 Therefore Hurtigruten offers active and educational voyages. The many unique excursions and lectures give guests genuinely close encounters with the nature and culture of the destinations". 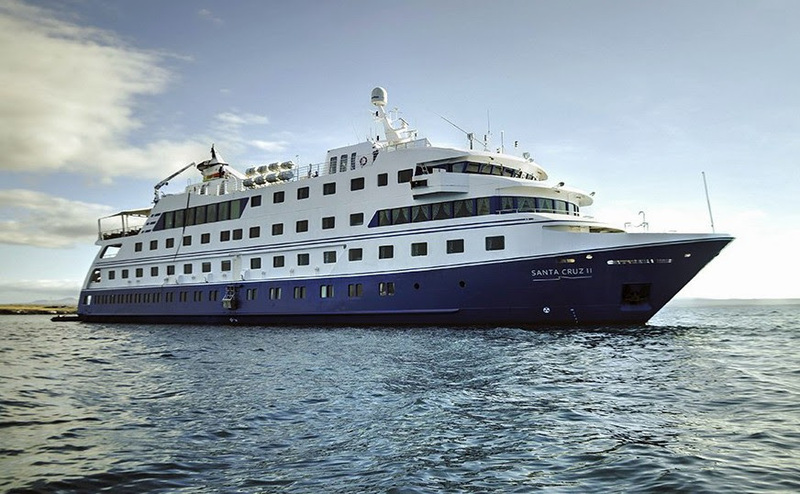 ExpeditionCruising.com recently received this update from Ponant PR. "Le Boréal has recently arrived (under tow) at the Punta Arenas shipyard where she is undergoing inspection to determine precisely what needs to be done and how long it will take. The works schedule is in the process of being finalised. To date, certain cruises marketed as charters have been cancelled however, to date, no cruises with individual passengers have been cancelled." Certainly the scheduled Dec 10 departure has been cancelled and we all await advice on what future sailings may also be effected. Observers who saw the BBC video noted that the vessel appeared to be listing and sitting low at the stern. It was suggested that this may have been a result of crew employing "boundary cooling", a method for preventing the spread of a serious fire in a contained area of the ship. This method requires large amounts of water which may upset the balance of the ship to a degree. In any case, with combined efforts of the crew involved in fighting the fire and prompt arrival of Royal Navy rescuers, no injuries were reported and the ship was saved. That much is good news. 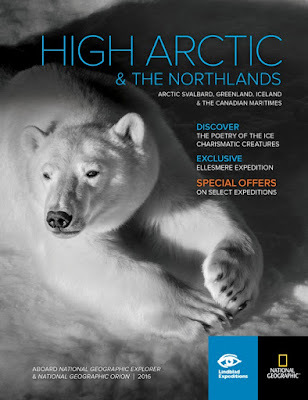 November 2015: Lindblad Expeditions-National Geographic, the leader in expedition travel, has released their 2016 Arctic brochure, offering breathtaking experiences in some of the most spectacular regions on earth. will explore the picturesque Arctic and the sub-Arctic regions, offering eight unique itineraries. Whether it's taking in the overwhelming power of the ice in all its forms, the charismatic creatures that inhabit the Arctic Circle, or the inspiring presence of the human communities that thrive and sustain within the rugged wilderness, Lindblad Expeditions-National Geographic's Arctic experiences will leave travellers thrilled, amazed and ready for more. Svalbard is a high Arctic archipelago situated between Norway and the North Pole and is a place of deep fjords, massive sheets of ice and magnificent polar bears. This trip is a 10-day exploration aboard the National Geographic Explorer, which journeys through nature at its purest. Immerse yourself as you search for the very symbol of the Arctic—polar bears, observing these majestic creatures in their natural habitat. This unique adventure will be available from June 5, 12 and 19 with prices from $12,290 and will depart and disembark in Svalbard, Norway. This voyage allows guests to meander along Norway's fjord-carved coast, travelling from the Hanseatic town of Bergen to the ice and wildlife of the Svalbard Archipelago, less than 1000 kilometres from the North Pole. Visit tiny fishing hamlets and kayak narrow inlets between towering peaks. Thrill seekers can search for Svalbard's polar bears and the abundance of surrounding Arctic wildlife. The 16-day voyage will start in Norway on May 23, 2016 on the National Geographic Explorer and July 3 and 16* (*reverse itinerary), 2016 aboard the National Geographic Orion. Rates start from $19,910, departing Bergen and disembarking in Svalbard, Norway. Explore the iconic Arctic regions of the Svalbard Archipelago of Norway, and the countries of Iceland and Greenland. This 16-day experience will see you aboard the National Geographic Explorer, a ship perfectly suited to the ever-changing ice. Adventurers will rely on the planet's best ice team to be guided across ice edges to search for wildlife, including polar bears, walrus, reindeer and arctic foxes. Starting in Oslo on June 26, 2016 and disembarking in Reykjavík, Iceland, rates for this voyage are $18,140. Lindblad is offering an early bird special – book by January 1 to receive a complimentary one-way charter airfare between Oslo and Svalbard. Travelling to the extraordinary Ellesmere Island, Baffin Island, Lancaster and Greenland, this itinerary sees guests venture deep into the far reaches of the ice. Learn the legacy of the ancient Thule and Dorset at remote archaeological sites. Trace the rarely explored coast of northwest Greenland, going rarely or never-been-seen places, where guests can take in glaciers of extreme beauty and polar bears in their natural habitats. This 23-day voyage commences August 14, 2016 with rates from $31,490 aboard the National Geographic Explorer and departs and disembarks from Kangerlussuaq, Greenland. On this new 15-day voyage aboard the National Geographic Explorer, follow the route of Viking explorer Erik the Red from Iceland's western coast across the Denmark Strait to the rugged, ice-sculpted shores of eastern Greenland. Seek out the big ice and venture into fjords to search for polar bears and other wildlife. At Greenland's southern tip encounter the relics of Viking settlements. Departing Reykjavík, Iceland on August 2, 2016, rates start from $18,690 and will disembark at Kangerlussuaq, Greenland. For any bookings made by January 1, Lindblad is offering a complimentary one-way charter airfare between Kangerlussuaq to Reykjavik. Experience a land of geological extremes on this 10-day circumnavigation of Iceland. Encounter vast volcanic landscapes, one of Europe's largest ice caps and the world's youngest island. Walk on lava fields and ice sheets, and feel the power of hot springs and cascading waterfalls. Cruise among magnificent icebergs in Jökulsárlón, and soak in the famous Blue Lagoon. Aboard the National Geographic Explorer, this adventure departs on July 11 and 20, 2016 (departing and disembarking from Reykjavík, Iceland) with prices starting from $12,270. This six-day exploration aboard the National Geographic Explorer is both compact and uniquely immersive, covering both land and sea adventure. Actively explore Reykjavík and the Golden Circle, including the natural beauty of the 'land of fire and ice'. Go deep into the wild, exploring the untamed western coast and savour an exclusive private dinner on Viðey Island prepared by one of Iceland's top chefs. Discover Iceland's top musicians through performances arranged by Lindblad's ethnomusicologist. Starting on July 28th, 2016, prices are from $6,240 and will begin and disembark in Reykjavík, Iceland. This eight-day expedition circumnavigates Newfoundland and visits the islands of Cape Breton, St.-Pierre (France) and Îles de la Madeleine. Sail through the Narrows of St. John's, Newfoundland, along rugged coastline, the isles of the Gulf of St. Lawrence and Cape Breton Island, Nova Scotia. Discover dunes and sandstone cliffs as you hike the nature trails of Gros Morne National Park, and Acadian culture on the Îles de la Madeleine. Aboard the National Geographic Explorer, starting on September 8 and 15, 2016 (departing and disembarking St. John's Newfoundland and Labrador, Canada), prices start from $9,910. To order the Explorations catalogue, obtain additional information on Lindblad Expeditions-National Geographic or to book, visit www.expeditions.com, call 1300 361 012 (AU), 0800 444 462 (NZ) and +61 2 9033 8700 (international) or see your travel agent. 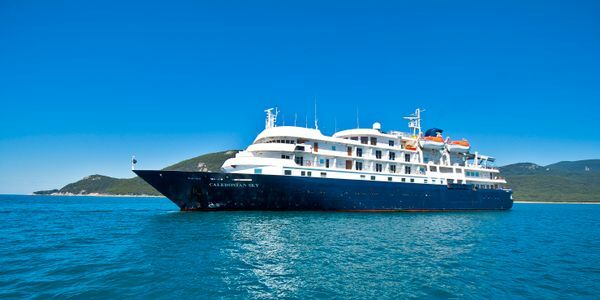 G Adventures has announced 45% off for travellers joining its new cruise itinerary sailing the coast of South America from Ushuaia, Argentina, to Cartagena, Colombia. The full South America Cruise – Ushuaia to Cartegena is 38 days long, departs March 21, 2016 and is now priced from £6,049pp*, (was £10,999pp). G Adventures is also offering 45% off for travellers with less time to join sectors of the trip for as few as 12 days. The full 38-day trip visits 21 ports in six countries (Argentina, Chile, Colombia, Ecuador, Panama and Peru). Highlights include a Chilean rodeo, barbecue and wine experience in Punta Arenas, as well a visit to the Copiapó mine where “Los 33” were trapped and rescued after 69 days in 2010. There is also an optional fly-over of the ancient Nazca lines in Southern Peru, a three-day, land-based trip to Macchu Picchu, the opportunity to traverse the Panama Canal, and to relax on the idyllic San Blas Islands in Panama, of Microsoft Windows 95 wallpaper fame. – South America Cruise – Chilean Fjords – 15 days departing March 21, 2016. WAS priced from £5,359pp, NOW priced from £3,483pp. – South America Cruise – Ushuaia to Guayaquil – 28 days, departing March 21, 2016. WAS priced from £8,999pp, NOW priced from £4,949pp. – South America Cruise – Santiago to Guayaquil – 15 days, departing April 3, 2016. – South America Cruise – Santiago to Cartagena – 25 days, departing April 3, 2016. WAS priced from £6,999pp, NOW priced from £3,849pp. – South America Cruise – Guayaquil to Cartagena – 12 days, departing April 16, 2016. WAS priced from £4,399pp, NOW priced from £2,859pp. 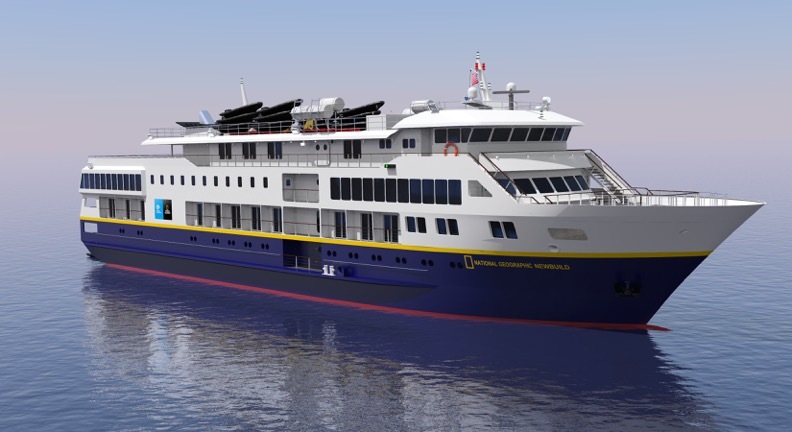 Seattle, WA, December 7, 2015—Un-Cruise Adventures, a small ship cruise line based in Seattle, has hired Richard G. Edwards as vice president of sales and marketing. Edwards takes over the role from Tim Jacox who stepped into a new role as president and COO. "Richard has a proven track record of success in both sales and marketing in the travel business," said Tim Jacox, president and COO. "His knowledge of digital marketing, sales strategies and relationships in the travel industry will be invaluable to us as Un-Cruise Adventures continues to expand and grow." As the vice president of sales and marketing, Edwards is responsible for strengthening relationships with new and valued longtime travel industry partners, managing the line's overall brand integrity and participating in strategic planning with the executive team. He'll lead the marketing staff to increase Un-Cruise Adventures' global brand presence and consumer understanding of the fast-growing adventure cruising segment. Edwards reports to Tim Jacox. A 15-year travel industry professional, Edwards has worked as vice president at Wildland Adventures, founding executive director of the Trusted Adventures consortium, and as the director of marketing at G (GAP) Adventures among many years of consulting with adventure companies and non-profits. At G Adventures, he was also founding director and senior advisor for Planeterra, the non-profit arm. His most recent work has been as partner at Tartan Destinations, a firm built on providing boutique marketing strategies, communications and trade development for destinations and a variety of travel and tourism organizations. Edwards has worked and traveled in 40+ countries, using his international experience and proficiency in Spanish to develop Latin American adventure tourism. He's currently a board member of the Adventure Travel Trade Association and has been cited as a Top Travel Specialist for Costa Rica by Condé Nast Traveler magazine each year since 2006. Un-Cruise Adventures' fleet of boutique yachts and small ships carry 22-88 guests on adventure and river cruises from one week to 21 nights in Alaska, Pacific Northwest, Mexico's Sea of Cortés, Hawaii, Galápagos Islands, Costa Rica and Panamá. Adventure activities, tours, and presentations are included. The natural world never fails to amaze, with its beauty, ingenuity and magnificence. Over a million wildebeest migrating across the plains of the Serengeti in pursuit of rain, male Emperor Penguins huddling together for two months without food during the Antarctic winter to incubate their eggs, or hundreds of macaws gathering to eat clay on the banks of a river in Peru to neutralise the toxins in their diet are just some of the awe-inspiring phenomena that are taking place out there in the world we live in. The biological diversity that surrounds us on Earth is undoubtedly the greatest treasure that we have. Just what are the most amazing spectacles that every wildlife enthusiast has to see during their lifetime? Top nature photographer and intrepid traveller Will Burrard-Lucas has spent years visiting far-flung corners of the world, capturing thousands of breathtaking images along the way. 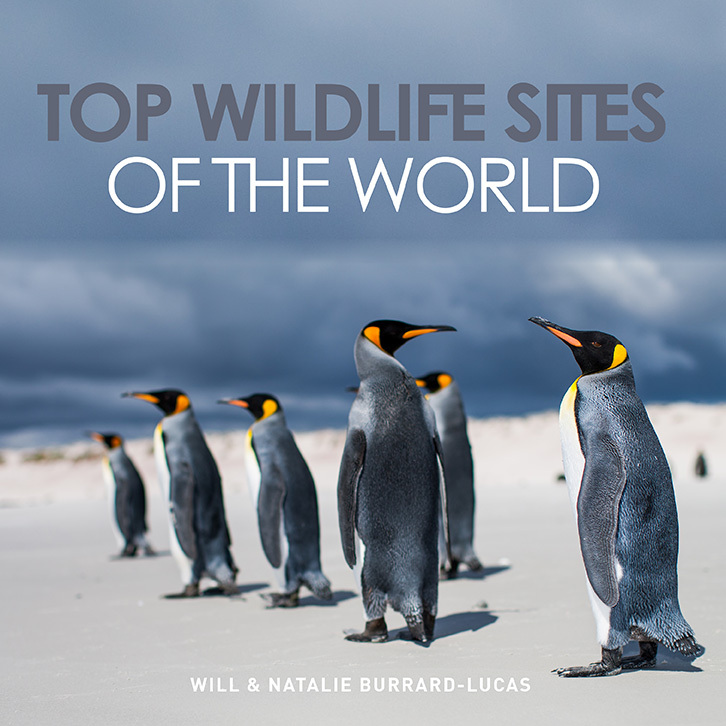 Top Wildlife Sites of the World invites you to feel inspired by the places that have inspired Will with each breathtaking turn of the page. More than 30 sites are covered, each with a locator map, beautiful photographs, a fact file and an evocative account of what it's like to go there, written by Will's wife and travel companion, Natalie. Destinations range from Tasmania to Svalbard and from the Okavango Delta to Alaska. Will Burrard-Lucas is a professional wildlife photographer from the UK. His fascination with wildlife began in childhood when he was fortunate enough to spend some years living in Africa. On a quest for the perfect shot, he designs clever gadgets and gizmos to help him achieve fresh perspectives. Will's wife, Natalia Burrard-Lucas, is a doctor and also a keen writer. She shares Will's wanderlust and joins him on many of his wildlife escapades. This voyage from Dunedin to Honiara offers the rare opportunity to discover several Melanesian cultures, while also getting a glimpse into the history and life of New Zealand’s Maori. Swim at some of the most photogenic beaches in New Caledonia and Vanuatu, and explore the extraordinarily remote Santa Ana Island. How does the song go...'don't go chasing waterfalls...'? Maybe not the best advice when it comes to visiting the spectacular Kimberley region. And if seeing the region’s many waterfalls is something that interests you - then a Kimberley Waterfalls itinerary is sure to please. A Waterfalls itinerary can also be a bit of a bonus when it comes to catching an elusive barramundi – the much-desired quarry often bites well early in the Kimberley season although the most determined fisher might be tempted to postpone his or her Kimberley experience until later in the year – barra also ‘come to notice’ towards the end of our Kimberley season and this is when the Kimberley Barra Bonanza is scheduled to depart. The maiden Bonanza sailed in 2015 and produced some pretty solid results – our guests managed to land more than 40 barramundi plus a swag of other good eaters including coral trout, mangrove jack and fingermark bream. 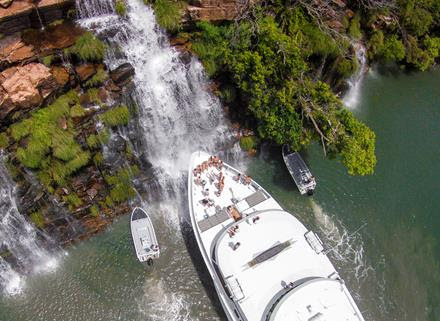 The 2016 Kimberley Barra Bonanza (7 nights) is scheduled to depart on 3 September. 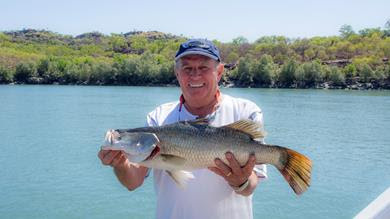 But it doesn’t matter when you plan your Kimberley adventure – the earlier and later departures might be good for barra fishing but the middle months also bring distinct advantage. May-August are peak visitation months throughout the Kimberley – the weather is mild, it’s the best time of the year to visit the region’s many national parks and, not forgetting that Broome’s fabulous race-round, also provides a very entertaining interlude at this time of the year. Regardless of the time of year - Kimberley cabins are always in demand and booking early is the best way to ensure your preferred departure date and cabin style. To discuss your 2016 Kimberley adventure – don’t wait a minute longer; contact your preferred travel representative or your adventure partners at North Star Cruises now. And, for a different take on our favourite subject – don’t miss acclaimed landscape artist Andrew Tischler’s thoughts on capturing the Kimberley landscape on canvas! 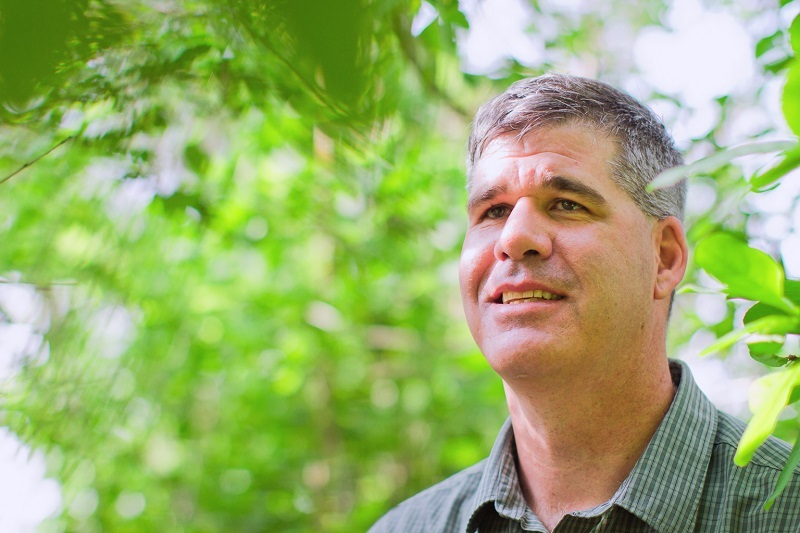 Click HERE to read Andrew’s story. Explore the picturesque scenery of New Zealand and the pristine, turquoise waters of the Pacific Islands aboard the ultra-luxurious Silver Discoverer, with Silversea's special bonus savings offer. Departing on 11 February 2016 from Dunedin, New Zealand, Silver Discoverer ports at Akaroa, a designated mammal sanctuary, home to the rarest and smallest dolphins in the world, the Hector's dolphin. This voyage continues onto Kaikoura, a region renowned for its Māori traditions, where guests have the opportunity to join a guided tour through one of the indigenous forests, or hike the Kaikoura Peninsula Walkway while learning about the local culture and enjoying the breathtaking coastal views. Following a day at Resolution Bay and Picton, Silver Discoverer travels across the Tasman Sea arriving in New Plymouth where guests are invited to travel partway up the northern side of Mount Taranaki to visit the Egmont National Park Visitor Centre, housing a comprehensive display of history and ecology. Leaving the North Island behind, Silver Discoverer spends the next two days at sea, where guests can indulge in Silversea's luxurious onboard amenities and enjoy a fascinating array of expert lectures about the region's history, wildlife and nature. 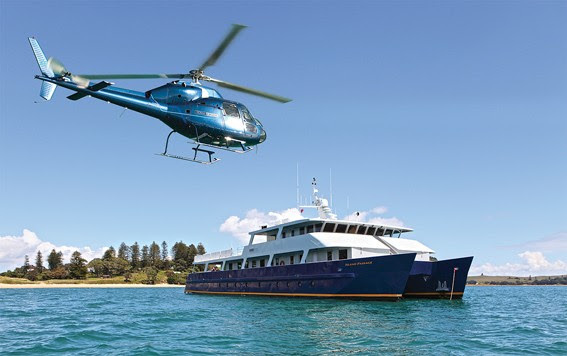 Silver Discoverer then anchors at Norfolk Island, offering an opportunity to explore this remote sub-tropical paradise, before travelling to Ile des Pine and Lifou in New Caledonia, a region teeming with animal life above and below ground,. Porting in the islands of Tanna and Aniwa in Vanuatu, guests can dive or snorkel through pristine waters, explore limestone caves and lush forests or venture up the island's active volcanoes. This voyage also includes visiting Ambrym Island, Luganville and Champagne Beach, before cruising the Coral Sea to Santa Ana, part of the Solomon Islands. This voyage concludes in Honiara, Solomon Islands with guests disembarking on 27 February 2016. For bookings made before 31 December 2015, guests will receive 50% off the total fare across all suite categories. This offer has also been extended to solo travellers, making this an ideal voyage for all guests. Prices are per person, starting from AU$8,225 in an Explorer Suite based on double occupancy and from AU$9,048 single occupancy. Silversea Expeditions' fares include: all shore and Zodiac excursions hosted by an expedition leader; all-suite accommodation with butler service; gourmet meals with menus inspired by Relais & Châteaux; complimentary wines, Champagne and spirits served throughout the ship; an outstanding expedition team of expert guides and lecturers; complimentary WiFi and all gratuities. As a speciality scuba diving expedition, experienced divers onboard are afforded the opportunity to see the top diving sites of the Asia Pacific and the South Pacific together with Silversea's Expedition Team and Dive Masters. Aboard Silver Discoverer, a team of experts including marine biologists, environmentalists, ecologists and geologists, will be on hand to share their extensive knowledge of the region. The exact days and dive locations are determined by tides, local conditions and the onboard Dive Masters. Space is limited, and guests must prove their requirements of diving certification. Award winning cruise operator APT is offering two small ship expedition cruise styles and a range of exciting new itineraries in its new Small Ships 2017 brochure. 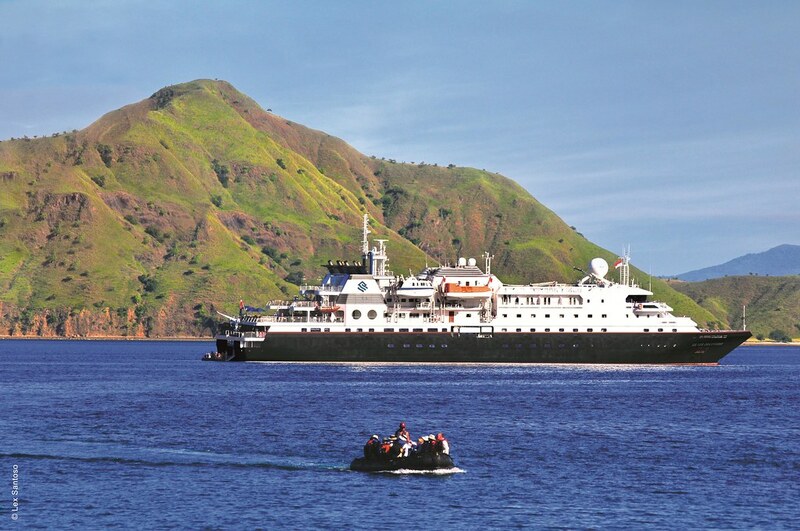 For the more adventurous, APT continues to offer its popular Expedition Cruises. Accompanied by a 10 member expedition team, guests travel off the beaten track to explore more rugged and remote destinations such as Britain & Ireland, South East Asia and the Kimberley. A new style is also being introduced for 2017. APT's new Soft Expedition Cruises will offer guests the choice to be as adventurous and active as they would like through APT's Freedom of Choice™ options. A five-strong expedition crew accompanies the cruise and while Zodiacs still feature, the ships will mainly be docked in port. This new cruise option will offer a mix of off the beaten track and well known destinations including the Mediterranean, the Baltic regions, Norway and Japan. 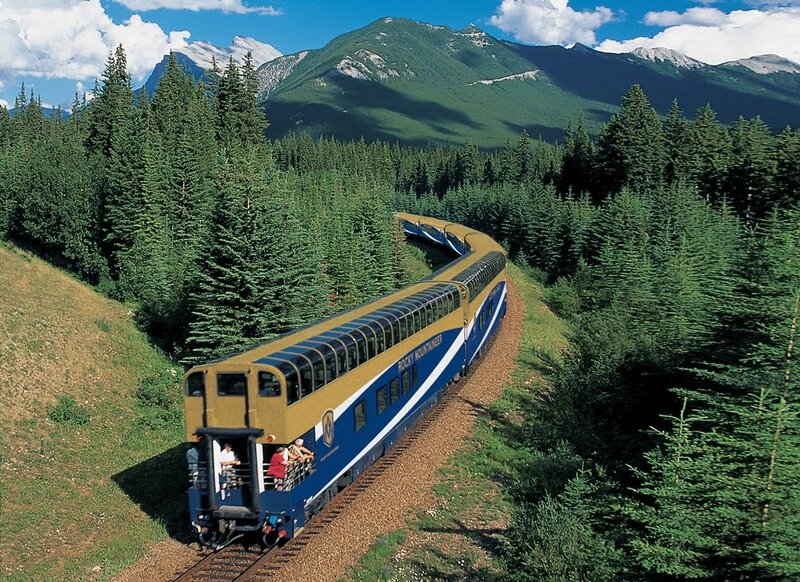 Guests can choose from 23 itineraries, many of which feature popular land extensions. 12 Day Timeless Japan –a circumnavigation of Japan fromOsaka to Tokyo, highlights include the chance to explore the 28 acres of the famous Koraku-en Gardens and participate in a tea ceremony, tour the Nagasaki Peace Park and embark on a full day excursion to the World-Heritage listed city of Gyeongju in South Korea. Guests can also participate in some of Japan's great hikes, all of which are escorted by the APT Expedition team. Two departures are offered on 28 May and 8 June 2017. This cruise is priced from $14,295 per person, twin share. 15 Day Mediterranean Odyssey – cruising from Istanbul to Barcelona, covering the Aegean and Mediterranean seas. Guests can learn about the Anzac legend in Gallipoli; take a bird watching tour in Nafplio; enjoy lunch on a traditional Greek farm in Katakolon; take part in wine tasting in Cagliari; or snorkel off the island of Menorca. Priced from $15,995 per person, twin share it departs 18 June 2017. 15 Day Southern Europe Sojourn – three departure dates (2 July, 31 August and 13 September 2017) are available for this cruise which offers the chance to explore the culture, food and wine-rich regions of Southern Spain, Portugal and France as you travel from Barcelona to London. Guests can take part in paella cooking demonstrations in Valencia; explore the Bordeaux wine region; visit a local family estate for lunch and wine tasting in Porto; take a bike tour in A Coruna; or visit Mont Saint-Michel followed by a visit to an oyster farm in St Malo. This cruise is priced from $15,995 per person, twin share. 15 Day Best of the Baltics – APT has seen increased demand for this region and so is revisiting in 2017 with three departures, each taking in 15 cities and eight countries. Sweden, Finland, Russia, Estonia, Latvia, Lithuania, Poland and Denmark feature on this cruise, priced from $15,995 per person, twin share. Highlights include sailing through Turku archipelago; spending two full days in St Petersburg with a memorable ballet performance at the Hermitage Theatre on the second day; admiring the architecture in the Latvian capital of Riga; and of course enjoying some gourmet delights on Bornholm Island. With more guests choosing to book cruise and land combinations APT is also offering new land options in Turkey, France, UK and Ireland, Norway and Scandinavia for 2017. All cruises sail aboard one of APT's own fleet of three 'Sky' ships, the MS Caledonian Sky, the MS Island Sky and the MS Hebridean Sky and include all tailor made, handpicked shore excursions with local guides. The APT fleet is unique in that it carries a maximum of just 118 guests, all of who stay in elegant suites with outside views; and due to the size of the ship, they can dock in ports inaccessible to larger vessels. Onboard features include a library, sun deck, alfresco dining restaurant, beauty salon and ten Zodiacs that enable all guests to travel off the ship to shore together. APT's Small Ship cruises are fully all inclusive, offering complimentary beverages available all day while on board as well as meals, sightseeing and free Wi-Fi in cabins within one price. Three SuperDeals are on offer in the new APT Small Ships 2017 brochure. A 'Fly Free – including Taxes', 'Companion Fly Free, including air taxes' and an 'Air Credit'. In addition, APT is offering an Early Payment Discount whereby guests will save $1,000 per couple when they book and pay for their cruise 10 months prior to departure. APT is also offering a Travel with Friends & Save offer – when six or more people book a small ship holiday together on the same date they will save an additional $500 per person. Both offers are combinable with all APT SuperDeals, which are valid until 31 October 2016. For further information, please contact APT on 1300 196 420, visit aptouring.com.au or see your local travel agent. This e-brochure details back-to-back voyages that include: South Georgia, South Africa, The Scattered Islands & The Seychelles, many being new destinations for PONANT.